Currently sitting at 4-5 (1-5 SEC), the Tennessee Volunteers have three games left on the schedule (vs. Kentucky, vs, Missouri, and at Vanderbilt) to get to six wins and become bowl eligible. If the Vols don't get to six wins there is still a chance that they would be invited to a bowl game with a 5-7 record. 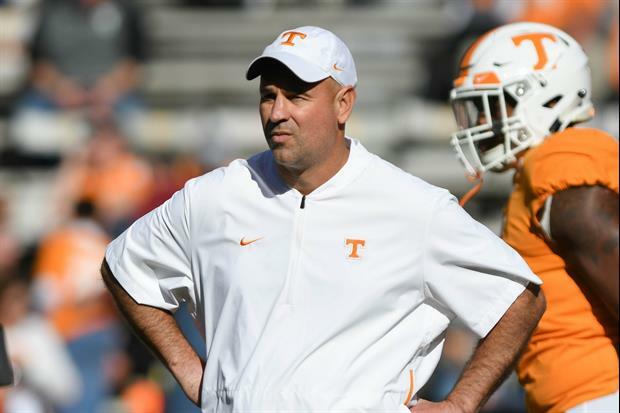 During the SEC Coaches Teleconference on Wednesday, Tennessee head coach Jeremy Pruitt was asked whether or not they would accept a bowl invite with a 5-7 record. "We would love to play as many games as we can get," Pruitt responded. "We can use all the practice we can get. Absolutely." UT is on the rise under Pruitt. Pruitt loves competition. I'm sure he gets a bonus if he makes a bowl game. Of course he would. I will never understand why people have a problem with to many bowl games. Its not like these lower bowl teams are under the assumption theyre national champions. Its a bowl game, that's on TV, that donates money to schools and conferences. its paid for by more than happy sponsors and allows young adults 1 extra game to play, after that game most of them will never play that game again as long as they live. It upsets you so much for it to be on a tv channel that you don't even have to watch that you WANT to take that away from them? I mean most of them will play their final bowl game at some point and thats most likely the end of the road for football. You know what i meant. Are you one of those people that just absolutely cant stand the idaho potato bowl going on at 2 pm on a thursday while youre probably at work? true, we don't have to watch, but when I was growing up, there weren't that many bowls and it was truly an honor to get a bowl invitation. Now, 80 out of 129 teams will play in bowl games, so it renders most bowl games utterly meaningless and a joke. That's why we don't like it. I really can't blame him. Take the bowl bid and get the SEC more bowl money. The problem with that is there often aren't enough teams with 6-6 or better records to fill all the bowl slots. And yeah, I agree that means there are simply too many bowls.